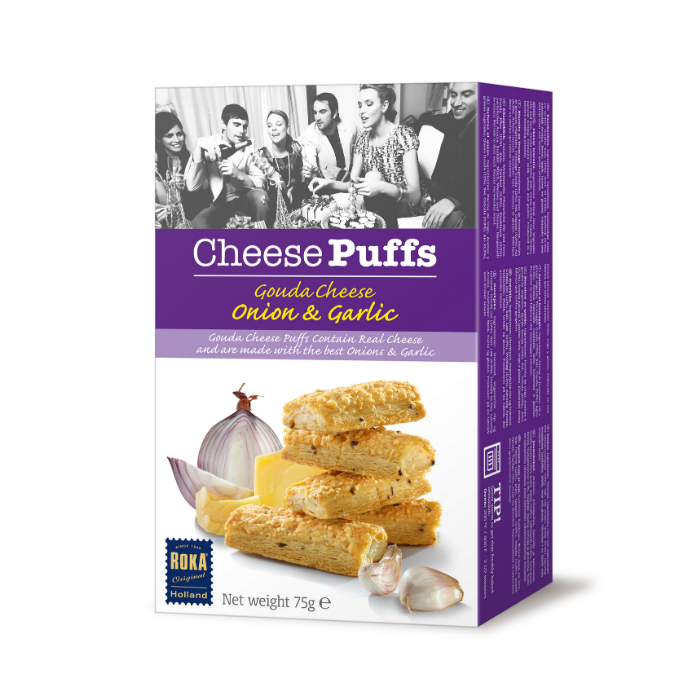 Roka is a company from the Netherlands and specialized in the production of very high quality, crispy puff-pastry biscuits, abundantly flavoured with nore than 30% matured Gouda cheese. 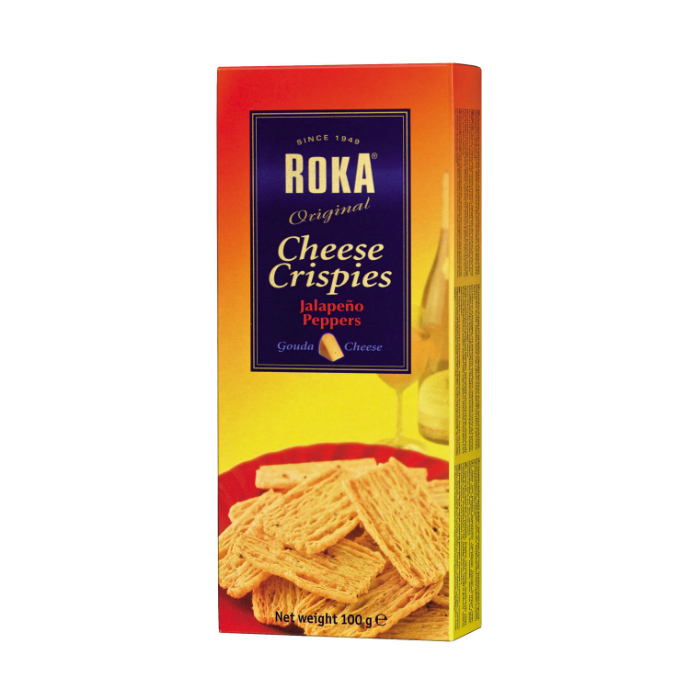 The Roka products are authentic Dutch cheese biscuits made of refined puff pastry (90 layers) or other fine quality pastry, 12 months matured Gouda cheese and other high-quality ingredients. 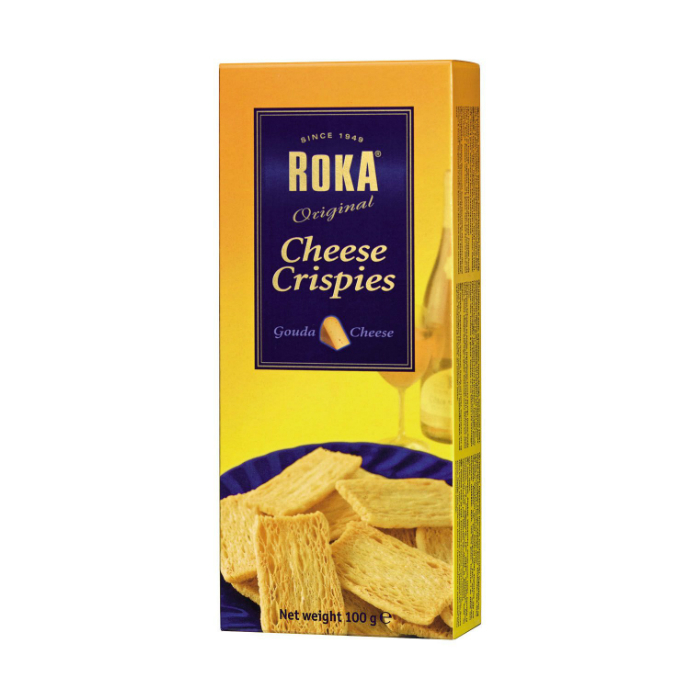 Roka products are sold in more than 30 countries worldwide. 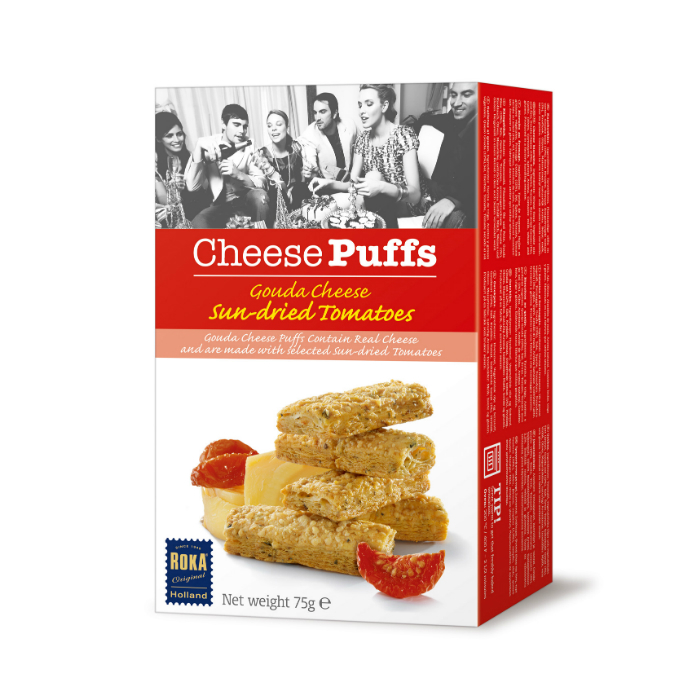 Try the cheese crispies with Gouda or the spicy variant with Jalapeno from our assortment!